Hari Carlyon was born in 2008 despite fears that he would not survive. However, he began showing signs of delayed development due to hyper-mobility in his joints resulting in an inability to crawl and walk. 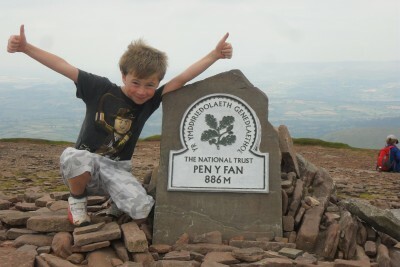 Dylan decided that he would walk the three peaks of the Abergavenny area, Skirrid (1601 feet), Sugarloaf (1955 feet) and Pen-Y-Fan (2907 feet). His proud parents (with the help of family and friends) walked with Dylan and helped him undertake this challenge which he completed in an amazing 9hours raising over £4000.